Description: Did you receive a telescope over the holidays? Great! We’ll help you understand how to use it and point out some great things to look at. Bio: Jeff is the Technical Services Manager for Graphics Systems Corporation (www.gxsc.com), a company he has been with for sixteen years. He has been an amateur astronomer since high school, and is currently vice-president of the Northern Cross Science Foundation (www.ncsf.info). He married his wife Rebecca last October, who is also an amateur astronomer. They live with two cats and about a dozen telescopes. 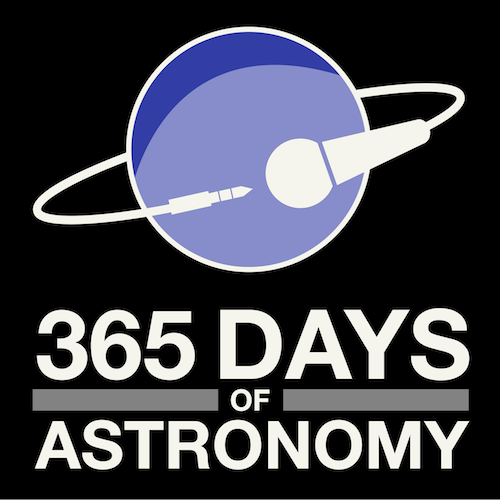 This is the 365 Days of Astronomy podcast for January 2, 2009. I am your host, Jeff Setzer, coming to you from West Bend, Wisconsin, in the United States of America, and today we’re talking telescopes. Did you get a telescope as a gift over the holidays? Do you have a telescope, maybe sitting in a closet somewhere, but are not sure how best to use it? In this podcast, we’re going to talk about how to use telescopes and what there is to look at. First, let’s talk a little bit about how telescopes work. The primary function of any telescope is to gather as much light as possible from the heavens above. More light means brighter images and more clarity. To do this, astronomers build telescopes with the biggest lens or mirror they can. This is why professional observatory telescopes are so physically huge. What about magnification? Isn’t that important? Well, actually, magnification is not a factor when choosing a telescope. The reason is that, by swapping out the interchangeable eyepieces, any telescope can be made to work at any magnification – at least in theory. The problem is, if you have a small telescope, the image will be dim to begin with, and spreading out the light with high magnification will just make things look blurry. In addition, no matter how big a telescope you have, the Earth’s atmosphere wavers constantly, which limits how much you can magnify. For an amateur telescope in the average backyard on an average night, you’ll be lucky to be able to use 300 power before things get ugly. You’ll use that mostly on the planets, too, because the majority of objects we look at – nebulae, star clusters and other galaxies – are too big to fit in the field of view at that magnification. You’ll find that most of the time you are using somewhere between 40 and 150 power. Let’s take stock of what you have. Telescopes come in many different makes and models, but all of them have some common features. The structure which houses the optics is called the optical tube assembly, also known as the OTA or just referred to as the “tube.” This is what gathers all the starlight and brings it to a focus, using lenses or mirrors depending on the design. The contraption that holds the tube steady and allows you to point it around the sky is known as the mount. Many mounts incorporate a tripod with a head that allows motion, which may or may not be motorized. Some mounts are essentially wooden cradles that hold the tube like a cannon, and allow the user to push it around and aim it in a very simple way. The finder is used to help you to point your telescope to objects in the night sky. Most telescopes come with either a little mini-telescope or a non-magnifying red-dot device as a finder. Your telescope will come with one or more eyepieces. Eyepieces take the fixed image formed inside of the telescope tube and magnify it so it can be seen with your eye — this is why changing the eyepiece changes the working magnification of your telescope. Before you go outside and set up your telescope, you need to know what you going to look at. Aimlessly pointing the telescope in random directions gets old quick for most people. The Moon is an excellent target, as are the brighter planets. 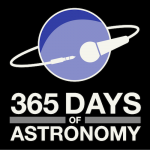 On this podcast’s original air date of January 2, 2009, the Moon and the planet Venus are the brightest two objects in the southwestern sky. You will see lots of craters, mountains and other detail on the Moon through your telescope. Venus, on the other hand, is shrouded in thick white clouds all the time. It does, however, go through phases just like our Moon – in fact, this is one of the first observations Galileo made 400 years ago to prove the Earth was not the center of the universe. Tonight, Venus is roughly half-lit, coincidently about the same phase as the Moon. Later on in the year, Saturn with its rings and Jupiter with its moons and cloud bands will become visible in the evening sky. Other objects available on January 2, 2009 include the Orion nebula and the Pleiades star cluster. There are actually thousands of such “deep-sky” objects within reach of a backyard telescope on any clear night. Which begs the question – how do you know what’s out there? There are two fantastic and free online resources available to amateur astronomers, showing you what’s up and where to look. www.skymaps.com publishes free monthly star charts complete with a list of cool objects to see that month. www.stellarium.org is a place where you can download a free computer program that shows the night sky for any time from any place on Earth. You can also find monthly astronomy magazines at your local newsstand or library to keep up with the ever-changing night sky. When you are ready to set up your telescope, there are a few things I’d like to highlight. First, be sure to take it outside. Pointing the telescope through a window from inside the house will never yield a decent image – the glass in the window is nowhere close to optical quality and will distort the image terribly. Likewise, opening the window and sticking the telescope out will cause massive turbulence in the air around the telescope, and again, the image will be unrecognizable. Before using your telescope, you also want to make sure your finder is aligned with your main tube. It’s easiest to do this during the daytime. I suggest sighting in on a distant utility pole or streetlight with the main telescope, and then adjusting the finder to match. It’s important to let your telescope cool down so it’s the same temperature as the outside air. The optics in your telescope are remarkably precise – accurate to within a few millionths of a centimeter of theoretical perfection. If the telescope is warmer than the outside air, the optics will be physically distorted and the images will look blurry and bloated. This is why even professional observatory domes are completely unheated. It takes the average backyard telescope between 20 and 30 minutes to completely reach the same temperature as the outside air. Since you paid good money to get good optics, don’t spoil the view by trying to observe before your telescope has cooled down completely. This is a common beginner mistake. If you have outdoor lights around your neighborhood, try to set up in a place where buildings or trees block them as much as possible. You want your telescope to gather starlight, not artificial light, which will wash out the view and make faint celestial objects hard to see or even invisible. If you have access to a place out in the countryside where you can get away from light pollution altogether, so much the better. When searching for objects with your telescope, always start by using your lowest power eyepiece. Why? Because the lower your power, the more sky you are seeing through the eyepiece – you have a larger field of view. Most of the sky is empty, and even with a low-power eyepiece you’ll need to hunt around a little bit to find your celestial quarry. Starting out with high power can make it much more difficult to find that elusive sky object. Even if your telescope has a computer and locates objects for you, you should still start with a lower-power eyepiece – computers locators are good, but not perfect. As you observe, you will find that medium power is best for most objects. The idea is to magnify the image so that it is well-framed in the field of view, but still nice and crisp. Remember, using too much magnification is a primary cause of blurry images. Keep in mind you are looking at objects that are millions of kilometers away in space. Most objects will appear dimmer than you might expect, and you will not see color in anything but the planets and brighter stars. Don’t be disappointed by this, but instead appreciate what you can see with a simple backyard telescope peering into the limitless depths of the heavens. Know also that the more you observe, the more you will see, as you train your eyes and brain to effectively pick out details in the eyepiece. Over a period of just a few weeks you will begin to see more and more when you use your telescope. There are a few common tweaks amongst backyard telescope users. If you have a tripod, keep in mind that the longer that you extend the legs, the less rigid they will be, so it’s best to extend them as little as possible. You also want to be sure that all bolts are tightened on the tripod to provide maximum rigidity – any wiggle in the tripod will make the image shake in the telescope. Another trick to reducing image shake is to place a weight in the accessory tray of the tripod, which helps to stabilize the telescope and dampen any vibrations. If your telescope comes with an optical finder, some people find it’s helpful to add a non-magnifying device called a “red-dot” finder to help them see where the telescope is pointed in the sky. These are commonly sold at department and sporting goods stores as sights for air rifles, and they cost less than $20 US. It’s easy to mount them on your telescope with double-sided foam tape. Take a trip to the store and play with one of these red-dot gadgets to see if you might like them. If you want to have a greater range of magnifications available with your telescope, then you will want to investigate buying one or more additional eyepieces. For your first telescope, I recommend sticking with the common and relatively inexpensive Plossl design, available from a wide range of telescope dealers around the world. You can expect to pay about fifty American dollars per eyepiece, but you don’t need more than 3 or 4 eyepieces in total to give you a good range of powers. This is one of those times where having a friend with a telescope really helps because you can try their eyepieces in your telescope to see what you like and what you don’t. When you want to learn more about telescopes and stargazing, there is plenty of information available on the Internet. The website for the astronomy club I belong to has a lot of information and links to all the websites I mentioned today, and many more. That URL is www.ncsf.info and you can use it as a launch pad to explore astronomy further in cyberspace. Speaking of local astronomy clubs, if there is one in your area I highly recommend you get in contact with them. Astronomy clubs are full of friendly people who all love the night sky. Members with their own telescopes enjoy letting other people look through them at club events. Astronomy is one of those things that is much easier to learn in person, so take advantage of any group observing activities your local club offers. I hope today’s podcast gave you some insight in the finer points of using your new telescope. Enjoy the wonders of the night sky and have a safe and prosperous International Year of Astronomy 2009! Jeff is the Technical Services Manager for Graphics Systems Corporation (www.gxsc.com), a company he has been with for sixteen years. He has been an amateur astronomer since high school, and is currently vice-president of the Northern Cross Science Foundation (www.ncsf.info). He married his wife Rebecca last October, who is also an amateur astronomer. They live with two cats and about a dozen telescopes. Интересная тема, продолжайте. Иногда нахожу ответы, которые получить самому просто не хватает времени. Спасибо! Great podcast. I own a 5-inch telescope and I learnt a couple of things here. Is it possible to make the podcast’s available as MP3 downloads? I’m so glad to see that you’re including transcripts – podcasts don’t work for me, but RSSing the posts does! Great Podcast! I enjoyed listening to it. Very good practical advice. Anyone interesting in pursuing astronomy as a hobby will benefit from it. Great information. I’ll definitely refer back to this podcast when I set up my telescope! Thank you, Jeff, and great job! I’ve been thinking about making the plunge for my own ‘scope, so this was a great listen. Thanks Jeff!